The Fish Window Cleaning products were developed by the professionals at national franchisor, Fish Window Cleaning. Read more about Fish Window Cleaning HERE. 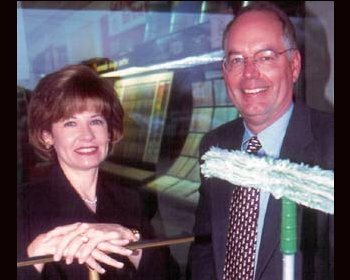 Mike Merrick founded Fish Window Cleaning in January 1978. Based on growing demand and success, Mike realized there was a need for this service in other markets. He used 20 years of experience to create the Fish Window Cleaning franchise system. In 1998, the first FISH franchise opened in Tampa, FL. The professionals at Fish Window Cleaning wanted to create a product that customers could use for touch-ups in between professional window cleanings. In 2005 FISH Foam was created. We have received orders from all around the continental United States, and we’ve been featured on many notable blogs. In the fall of 2014, Fish Window Cleaning updated the can design, improved the product formula, and added a complementary natural glass cleaner.